Asense of disquiet fills Kapila Naik as he leaves behind the paddy fields surrounding his village Bilapagha and starts walking up a hill, deep inside the Similipal Tiger Reserve of Odisha. After walking for a kilometre, he stops and bows before a patch of forest, which appears much taller, denser and greener than the sur-rounding woods. “This is our jahira sala,” says Naik. The grove, spanning less than a hectare, is home to a variety of trees, primarily sal (Shorea robusta). “They are divine souls, standing there for centuries,” says Naik, who performs all rituals as dehuri (priest) on behalf of the 70 families of the Bathudi tribe living in this village of tribal-dominated Mayurbhanj district. “No one is allowed to step into the grove, forget about felling. Harming the grove invites bad omen and diseases,” he says. His voice starts to quiver. The century-old dictum has recently been violated by forest officials trying to implement the state government’s Integrated Development of Sacred Grove (IDSG). In 2015, the Odisha government in a rare gesture launched the programme to identify and demarcate sacred groves, raise seedlings for planting in the groves, ensure their maintenance for three years, prepare management plans for conservation of sacred groves and make people aware about their importance. 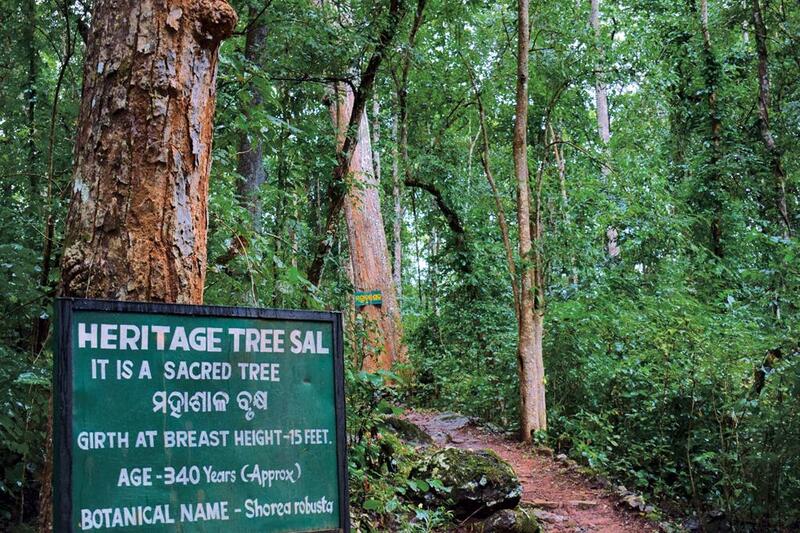 The government has so far identified 2,600 sacred groves; most of them located in areas inhabited by tribals who comprise 23 per cent, or 9.6 million, of the state’s 40 million population. The grove at Bilapagha is one in the list. In 2015, the forest officials approached its residents to build a concrete wall around the grove and a shed for the forest deity. But the infrastructure had little importance for the nature worshipper, who instead asked the officials to pave the approach road to the grove and build a check dam on a stream next to it. The forest department, which has received R10 crore towards the protection of 670 sacred groves in the first phase of IDSG, appeared relentless. One day, the village women saw the officials clearing under-growth in the sacred grove and dumping bricks and other construction material inside it. They protested. The officials have since not returned to the village. “Their interference would have destroyed the grove which we have protected over generations,” says Sumitra Naik, who led women to oppose the forest officials. “They have little idea about our emotions towards our sacred groves. 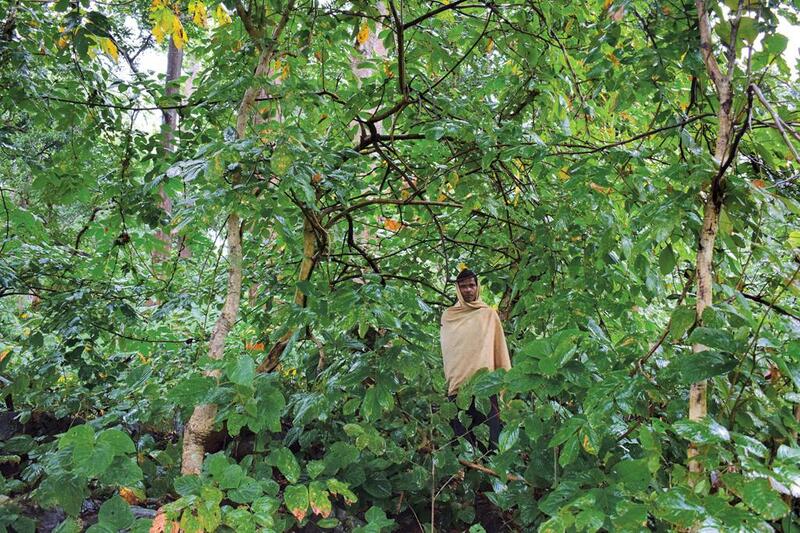 They wanted to plant all kinds of trees alien to our culture and religious practices,” says Maheswar Naik, the 62-year-old advisor to the village forest committee of Bilapagha that has traditionally been protecting 750 ha of forests around the village. Similar resentment is brewing across Mayurbhanj, where a maximum of 611 sacred groves have been identified, the highest in the state. Tribal communities comprise 59 per cent of the district’s population. In Genteisahi, another tribal village located 50 km from Bilapagha, the forest department has, however, managed to carry out some development works. “They constructed a shed over the forest deity, planted around 100 debdaru (polialthia), krushnachuda (Caesalpinia pulcherrima) and mango trees without informing the village forest committee, clicked photographs and left. Most of the trees did not survive,” says Damodar Guia, dehuri of the village inhabited by the Kolha tribe. Though there are ample mango trees in the village not a single fruit-bearing tree can be spotted inside the grove that spreads over 1.2 ha and is full of thick sal trees. “In our culture, fruit-bearing trees are strictly prohibited in the sacred grove. That is why our forefathers have chosen areas having sal trees as our groves,” Guia adds. Some HUNDREDS of years ago, before establishing Bilapagha, the residents looked for an area where they and their goddess could co-exist with tigers, elephants and other wildlife. Their goddess asked them to settle down in jahira sala. Locals say no one from the village has ever been attacked by tigers nor has their crop been destroyed by elephants. This is due to the blessing of jahira sala. Residents of Genteisahi also say when their forefathers came to the village from Jharkhand hundreds of years ago, their goddess guided the dehuri in his dreams to jahira sala spot. Since then the sacred grove is being protected by the village residents as their deity. A few kilometres from Genteisahi is Ramasahi village, where the residents allege that one night last year, the forest officials sneaked into their sacred grove and planted trees using generator sets. The village forest committee was so miffed with the officials that it immediately called a meeting where dehuri Ghanashyam Simku imposed a fine worth of two hens on the forest department and drew an apology from the local forester. Top forest officers, however, insist that the project is being implemented democratically, involving communities. “The forest department cannot impose it on them. There is absolutely no question of villagers resisting it,” A K Pathak, chief conservator of forest (afforestation), told Down To Earth. However, Pathak’s assurances do not seem to reflect on the ground. Worse, the way IDSG is being implemented reflects that the forest department probably does not have proper understanding of sacred groves. For one, some groves are spread over 4 ha while the others are just single trees. In some villages, like in Bilapagha, there are more than one sacred groves, each meant for specific rituals and celebrations. Yet, the department has allocated R1.25 lakh for each sacred grove. Besides, while village deities, shrines or temples are part of groves in non-tribal areas, they are rarely seen in sacred groves in tribal areas. Yet, construction of shed over deities is part of the IDSG guidelines. “A single framework may not work for protecting all sacred groves that have such diversity and variety. This is the reason most works undertaken by IDSG have gone in vein,” says Lalpati Mahanta, social activist from a village on the outskirts of Jashipur block. Some analysts fear that IDSG may have some ulterior motive as it does not include a single sacred grove in mineral rich Niyamgiri hill in Kalahandi-Rayagada districts and Khandadhar in Sundargarh. In 2013, Dangaria Kondh tribal community of the Niyamgiri had rejected the bauxite mining proposal of Odisha Mining Corporation for multinational Vedanta, saying the hill is their god. Later, the Supreme Court recognised their religious rights over the hills. Forest officials say they are still in the process of identifying sacred groves. “People of areas like Niyamgiri and Khandhar should inform the forest department about the presence of sacred groves in their areas,” says a forest official who does not wish to be named. Social activists and tribal groups engaged in forest protection say that if the government was sincere about protecting sacred groves, it should facilitate tribals’ right over the groves under the Forest Rights Act, 2006. The tribals have been the natural protectors of their groves; empowering them, they say, would keep the sacred groves, well, sacred.